If I know I’m wild camping near a lake or river I usually take with me a lightweight telescopic spinning rod and some spinners to catch some trout as it’s always nice to catch some wild food. 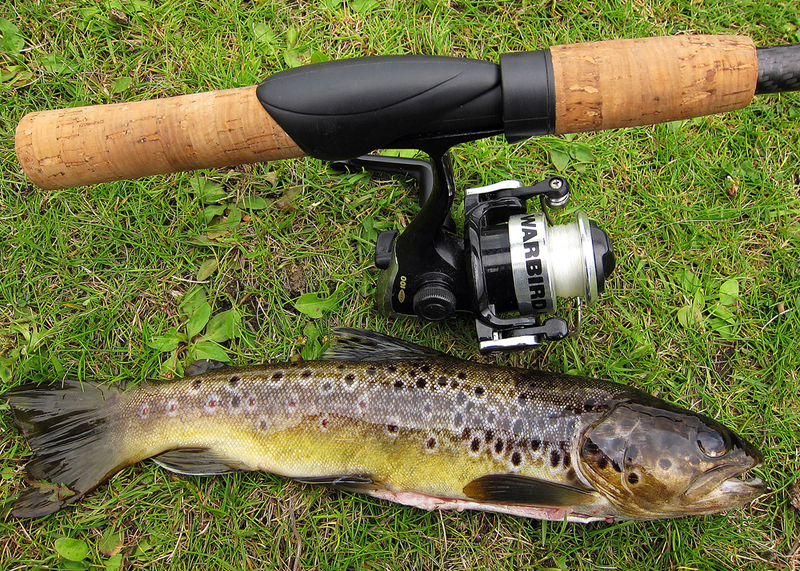 I use a small Fladen Maxximus 210cm (7 foot) spinning rod which is made of carbon fibre and weighs in at 125 g. Although a pretty small spinning rod it is good enough for medium sized trout and similar sized fish. Stuff the trout with wild herbs (in this case I used garlic butter) and seal in tinfoil so it will naturally steam and then crisp while cooking. 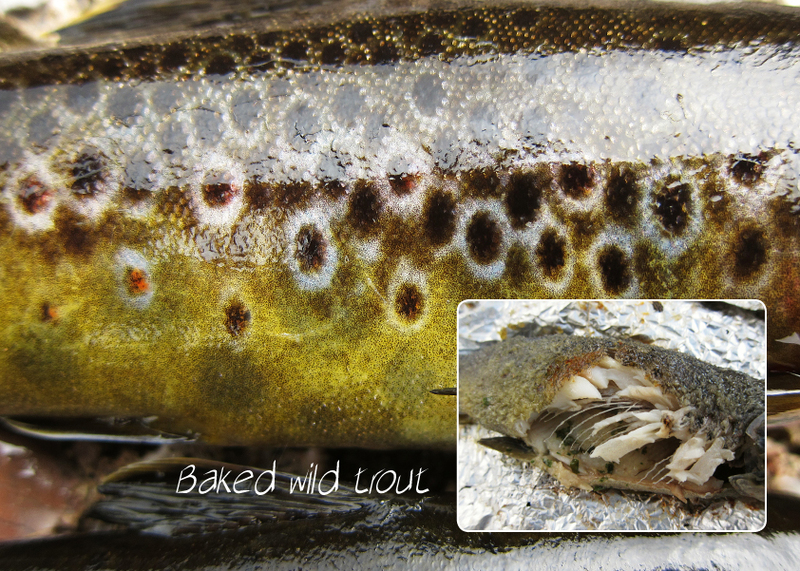 Place the trout on some fire embers; this should take about 10 minutes to cook (depending on how hot the embers are). Alternatively, you can cook the trout over the open fire by skewing the trout with a stick and then spreading out the fillets with some smaller skewers. Very nice. Not overly complicated as some trout recipes can get. Tough to get a can of cooking spray, rosemary with a slice of lemon to do it all up Martha Stewart style when out packing. A little foil and garlic butter will add great taste to a brown trout over a campfire. Great...now I'm hungry. Thanks CC, that's all I had on me in terms of ingredients, yes a slice of lemon would have been great.